A lymphocyte is a type of white blood cell present in the blood. interpret these tissues as foreign invaders. WHAT ARE SOME OTHER CHARACTERISTICS OF LYMPHOCYTES? micrometer is a very small unit of length that measures one millionth of a meter. lymphocytes are usually about 10 to 20 micrometers in length. substance that fills up a cell). blue color when exposed to certain types of chemical used in laboratory tests. nodes are small egg shaped structures in the body that help fight against infection. lymphocytes are formed, they are released into the circulating blood. ARE THERE DIFFERENT TYPES OF LYMPHOCYTES? that type of antigen. More than 80% of lymphocytes in the circulating blood are T cells. the killer T cells in performing their activities and help protect the body against diseases in other ways. T cells also appear to play an important role in the body's response to the spreading of cancer cells. is a tiny organism made of one cell that is usually too small to be seen without using a microscope. a description). When the B cells divide, each cell has identical copies of antibodies on their surface. them quickly. Memory cells can survive in the body for many years. WHAT PERCENT OF WHITE BLOOD CELLS ARE LYMPHOCYTES? use the normal range printed on the lab report to decide what range is normal. WHAT CAN CAUSE THE LEVEL OF LYMPHOCYTES TO BE TOO HIGH? flu-like symptoms and cold sores. symptoms are due to an abnormal and excessive growth of cells in one of the body organs or tissues. characterized by the presence of too many mature lymphocytes. which blood (usually from another person) is introduced into someone's bloodstream. WHAT CAN CAUSE THE LEVEL OF LYMPHOCYTES TO BE TOO LOW? abnormally low lymphocyte count can occur. Bone marrow destruction occurs in aplastic anemia. blood (such as white blood cells) because the bone marrow is not working properly to make these cells. Aplastic anemia can cause an abnormally low lymphocyte count. 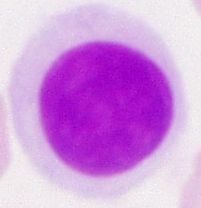 rapidly than normal) can cause an abnormally low lymphocyte count. are essential for the body to regulate itself. Some disorders that affect the nerves in the body can cause the lymphocyte level to be too low. the arms and legs because of nerve damage. WHAT ELSE ARE LYMPHOCYTES CALLED? Lymphocytes are also known as lymph cells, lymphocysts, and lympholeukocytes. WHAT IS THE ORIGIN OF THE TERM, LYMPHOCYTE? Lymphocyte comes from the Latin word "lympha" meaning "spring water," and the Greek word "kytos"
meaning "cell." Put the two words together and you have "spring water cell."